Today I’m participating in the WordPress weekly photo challenge and this week’s theme is “adventure”. Remember you can click on each photo for a larger view. Our adventures this summer kept us close to home. 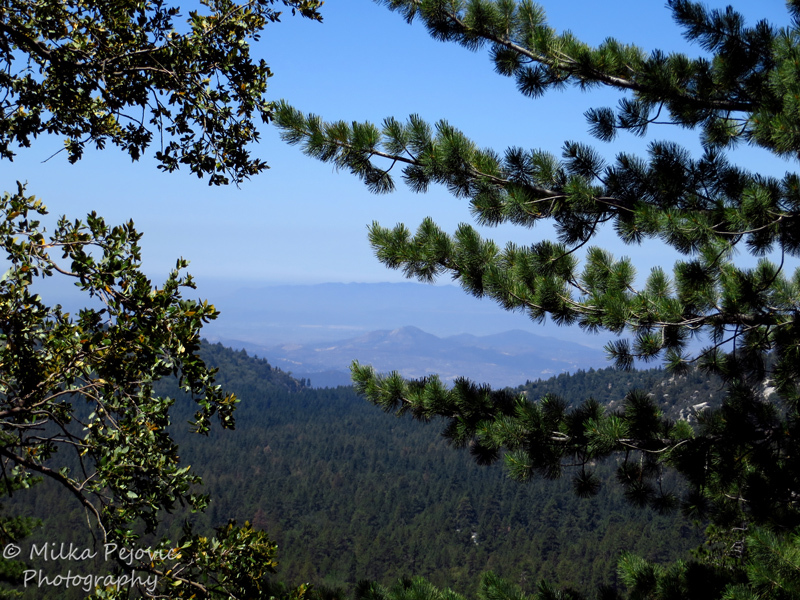 The most adventurous we were was probably the week we spent in the small mountain town of Idyllwild, California. 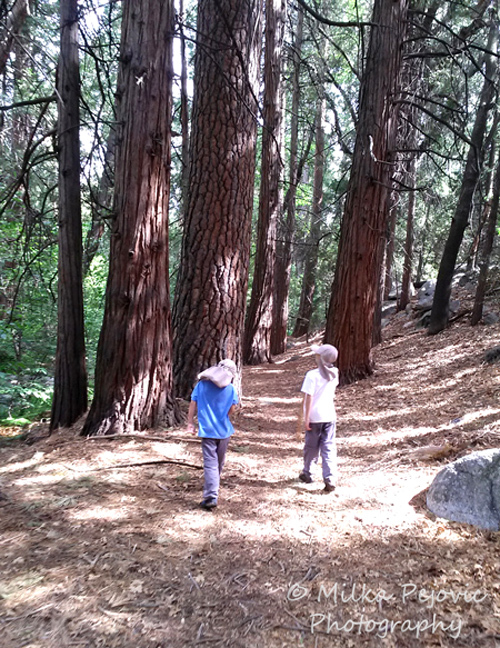 During our visit, we tried a hiking trail new to us called the Ernie Maxwell scenic trail. Scenic is the word because it gave us beautiful views of the mountains and the valleys all around, while hiking mostly in the shade. 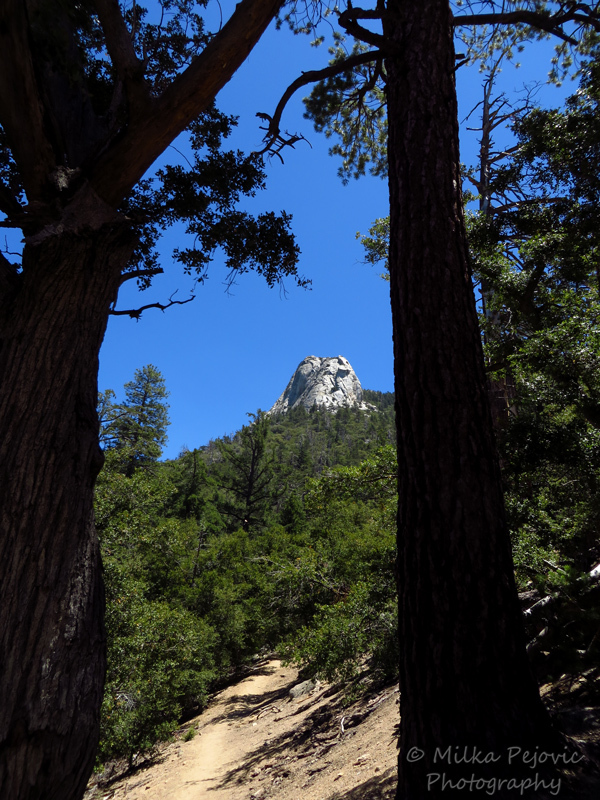 Of course we had a lot of other hiking adventures, mostly in the woods so we could hide from the baking hot Southern California summer sun. And we enjoyed small adventures by the water, such as this lovely pond where we got to see a lot of birds and some fish. 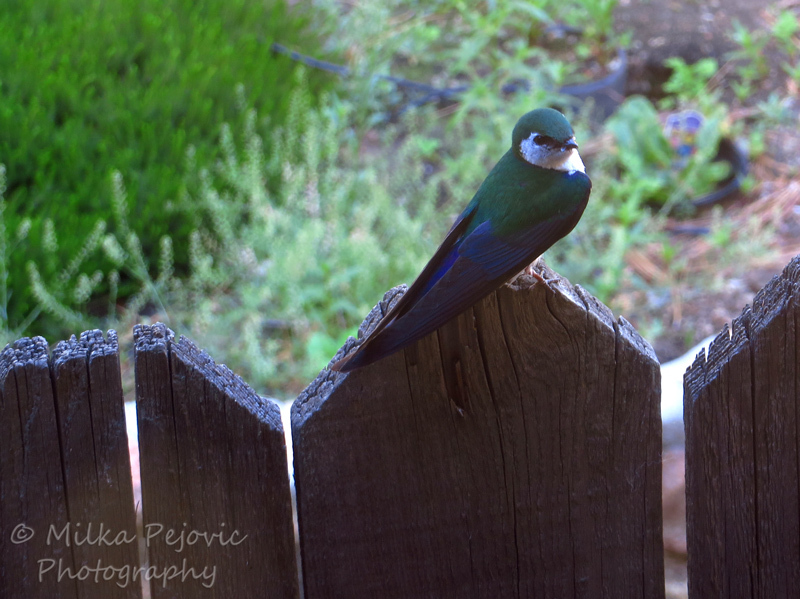 Talking about birds, we spotted this beautiful violet-green swallow (Tachycineta thalassina) outside our cabin window. It had built a nest right underneath so we got to see it fly back and forth a lot over our week’s stay. 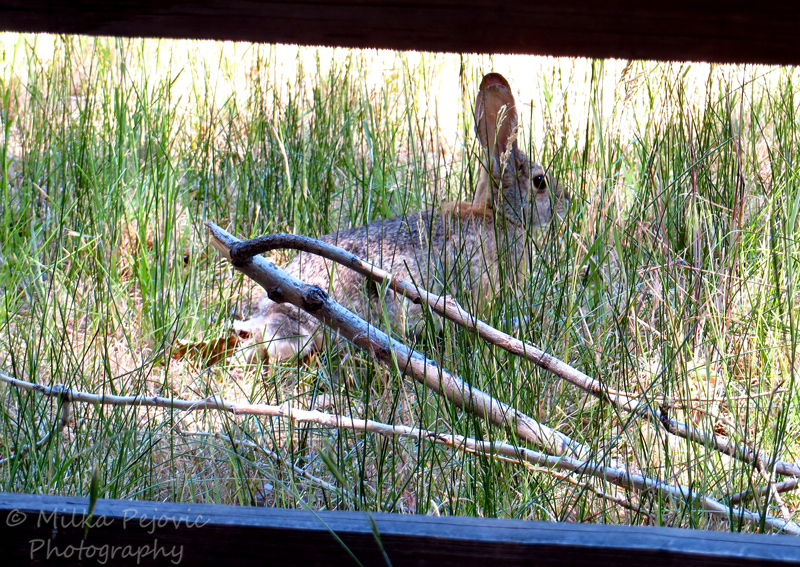 And you can’t hike without meeting cottontail rabbits. This one wasn’t too scared of us, as long as we stayed on the other side of the fence. 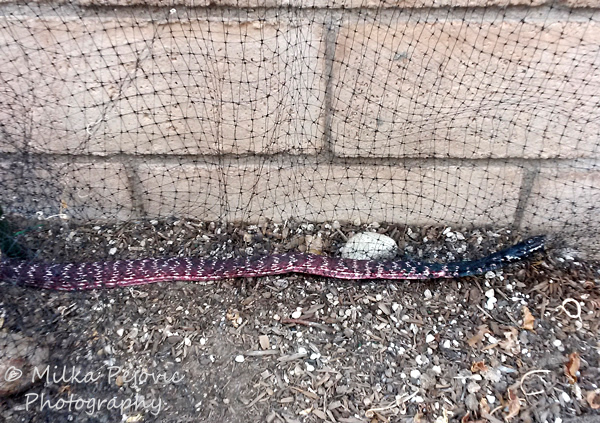 Finally, our biggest adventure probably happened at home this summer, when this red coachwhip snake visited our backyard for the third year in a row. Its babies may come visit us next year, but this guy won’t, as it met its end getting tangling in our netting (I guess it didn’t learn its lesson from the first two times…). That was enough adventure for one day! 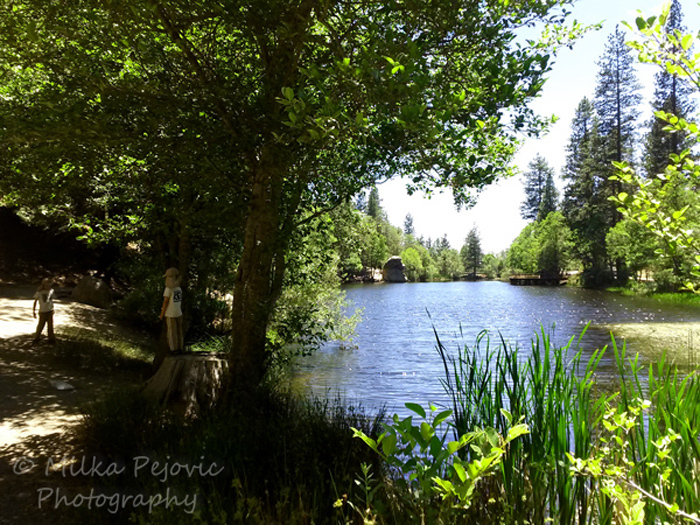 Posted by Milka Pejovic on September 5, 2014 in Animal Photos, Bird photos, California Photos, Forest Photos, Landscape Photos, Plant Photos, Tree Photos, Woods Photos and tagged cottontail rabbit, Ernie Maxwell scenic trail Idyllwild, hiking in the woods, hiking trails Idyllwild, idyllwild california, nature photography, red coachwhip snake, Tachycineta thalassina, violet-green swallow, Wordpress weekly photo challenge, Wordpress Weekly Photo Challenge: Adventure. Yikes, there’s that snake again! Sorry about the snake…. but it was quite an adventure! Those are not turbans, by the way. They’re legionnaire style hats, which are great to keep most of the cruel sun off their heads and necks. Nice to see you again, Milka. Looks like an excellent adventure. Thank you! I’m very slow at making my way around all the great blog posts I haven’t commented over the summer. I promise eventually I’ll get to yours! I’ll be happy to see you when you get here but real life takes priority so don’t worry or hurry. Trying to put a work and project schedule back in place after spending the whole summer with two rambunctious boys is not an easy challenge, that’s for sure!